For years, athletes and weekend warriors alike have been following the “RICE” protocol as recommended initially by Dr G. Mirkin back in the 1970s. RICE stands for Rest, Ice Compression and Elevation. Should we still be icing injuries? 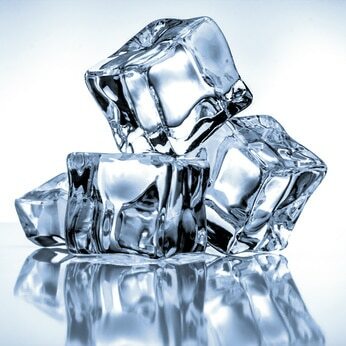 Ice works by decreasing the blood flow to an area, thus temporarily diminishing the swelling and inflammation that accompanies most injuries —- (when the tissue rewarms … the inflammatory process resumes). But in the 1970s we knew very little about the healing process. We did not understand that inflammation is actually a very important initiating event of the overall healing process. When you are injured, the blood vessels to the area dilate. That causes the swelling and warmth you notice. The increase in blood flow brings with it very potent chemicals, proteins and cells. Those chemicals and cells set off a cascade of reactions that we refer to as inflammation. More importantly, this is also what initiates the HEALING process. Yes, inflammation is a necessary part of the healing process. The inflammation chemicals send a message to other cells to come to the injured area… they also wake up sleeping or dormant cells already residing in the area of the injury. Those cells in turn start to repair the ligament, muscle or skin at the site of injury. It certainly seems counter-intuitive and is certainly contrary to everything we’ve been told in the past … but it appears to be true. Most all recent literature (see below) shows that if you delay or inhibit the inflammation, you will also delay your healing. So keep in mind… anything that reduces inflammation, may also be reducing your chance at rapidly healing from an injury. Stay ahead of the latest news regarding sports injuries by clicking here to receive our Sports Medicine Blog posts. No doubt, icing an injured area makes it feel better. Using ice immediately following an injury and for a hours afterwards IS acceptable… but only in short bursts. Ice for 5 minutes at a time and then leave it off for at least 30 minutes to allow the blood flow to return to the area. After a few hours the ice will no longer be effective in managing the swelling and should be avoided. After all … the goal of the entire healing process is to get you back in the game. What’s your #GamePlan for your next injury? Gary Reinl and Kelley Starrett discussing the issue of icing and injuries. 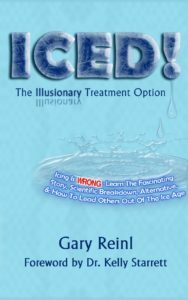 Those who are interested in learning more should read Gary’s book.. You can get it here. ← Does A Bicep Tear Require Surgery? I would very much like to speak with you … please feel welcome to contact me at anytime. Thank you, thank you, thank you for this illuminating and encouraging article. YAY! Icing makes a tremendous difference speeding recovery time. As an athlete who went through quite a few injuries I can tell a definite difference between icing and not icing. I am not sure how you smart scientists come out with your results but there must be some serious flaw in your research. Thanks David … I just report what I read about. Ice certainly can make an injury feel better, but the research is pretty clear with many injuries. Icing can make re-injury more common and does little to affect the natural history of injuries and recovery. I had rotator cuff surgery 8-9 yrs ago. The past 6 months I have experienced pain from a previously well fixed shoulder(1-10 scale about a 4). Last night I was relaxing and my shoulder popped about 4-5 times with some pain involved. I woke up today and it pops constantly every time I move my shoulder with some discomfort as well. You mention shoulder popping in/out is this dangerous, especially if it hurts when it pops? Time to see a shoulder doc again… at least for a good exam and an Xray to see what’s going on. Hello! I got hit on the outside left side of my left knee in a football game. It made the right side of my left knee pop out. Laying in bed that night I had a perfect line of red hot pain on the right side of the knee where it popped. I did not ice at all. I let it swell and after a few weeks of slow recover I was back to normal. Do you think I tore anything and if so could it have healed itself? Sure… could have been an MCL strain… can’t really say without having examined you. Hey I jus pulled my hamstring playing flag football. I didn’t plan on playing so I got on the field with Minimal warming up and also keep in mind I jus had a heavy leg workout the day prior. So of course being the smart person I am while I was show boating into the end zone I pulled my hamstring bicycling the the last 5 yards in I felt a pop an knew I pulled it. Should I not ice it? I just took a warm epsom bath should I use heat instead to increase blood flow?